Are you looking for a perfect paradise to visit with your significant other? Well, look no further than the sunny beachside getaway of Puerto Vallarta! Sailing on the crystal blue waters on board your own private Puerto Vallarta boat rental, where both the vine-hung foothills and beautiful beaches have made it one of Mexico's most popular travel destinations. Each year millions come to laze on the dazzling sandy beaches, browse in the quirky shops, nosh in the stylish restaurants and wander the picturesque central streets of enticing malecón. Awe-Inspiring Beaches – Puerto Vallarta boasts miles and miles of photo-worthy and pristine beaches dotting the shoreline around Banderas Bay. Here you and your beloved can enjoy plenty of relaxing downtimes as you lounge the day away. Located in the Romantic Zone, Los Muertos is one of the town's most famous and popular beaches. Los Muertos is among Puerto Vallarta’s loveliest beaches. Playa de Oro beach, which is located north of the city, is another popular spot. Soak up some sun together or swing in a hammock made for two. Playa Conchas Chinas stretches to the Sierra Madre Mountains and is said to be one of Puerto Vallarta’s most luxurious and peaceful areas. Playa de Sayulita offers surfer-friendly waves and fishing opportunities. On the northwest peninsula of Banderas Bay, El Anclote draws surfers all throughout the year. Icy-cold drinks are sure to keep you cool as the mercury rises. Outdoor Adrenaline Pumping Activities – If you are an adventure enthusiast, Puerto Vallarta is the perfect place for you. You can be part of a fast-paced adrenaline pumping activities such as rugged ATV Tours in which you can explore the jungle terrain. You can also be part of zip-lining canopy tours wherein you can soar high above the lush landscape. This will surely blow you away. For all those looking for something more romantic, a sunset sailing trip is the best option to enjoy the incredible vistas of Banderas Bay on board your exclusive Puerto Vallarta boat rental. If you and your beloved are fond of water sports and activities, there is plenty to keep you entertained including swimming, jet skiing, snorkeling, scuba diving, surfing and stand up paddleboarding. During the winter season, be sure to take advantage of the whale watching escapade. This tour offers an unforgettable experience with these magnificent giants! Explore the Architectural Wonders – Enjoy a leisurely stroll through the cobbled streets of Puerto Vallarta's old town that houses many white stucco buildings. 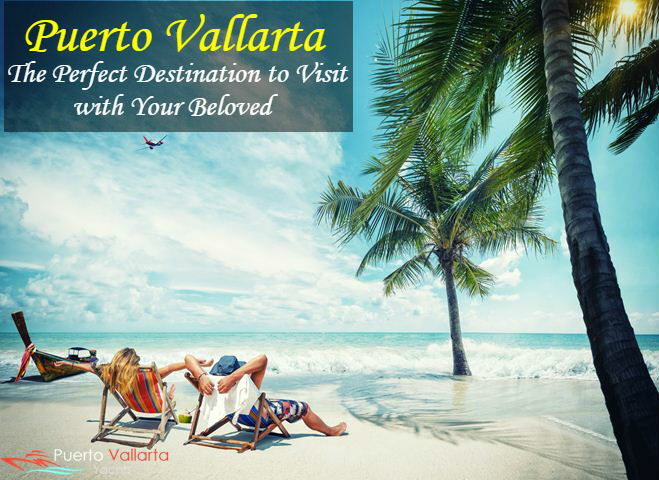 This area of Vallarta draws a large number of tourists and history buffs. The most visited is the Church of Our Lady of Guadalupe – the central feature of the town's skyline. The church is dedicated to the patron saint of Mexico and it draws thousands of Catholic pilgrims. If you want to know more about the golden past of this region, visit the rural village of San Sebastián del Oeste – nestled at an altitude of 4,500 feet among pine trees in the Sierra Madre Mountains. Located 90 minutes away from Puerto Vallarta is New Spain mining capital. Here the travelers can experience the colonial Mexico and learn how this nation was 400 years back. To the South of the Banderas Bay is the Los Arcos National Marine Park. It is a popular snorkeling and diving spot amongst the travelers and locals alike. Spot the Wildlife – During your staycation in Puerto Vallarta, do not miss out on the opportunity to swim with dolphins or sea lions. If you visit between mid-December and the end of March, you can end up spotting humpback whales and wild dolphins. All the bird enthusiasts should visit the Puerto Vallarta Botanical Gardens to spot birds such as Pelicans and parakeets. The waters surrounding Puerto Vallarta are a paradise for the anglers who are fond of deep sea fishing. Puerto Vallarta fishing is top-notch all year round. With trophy-size Marlin, Sailfish, Mahi Mahi, and Tuna, among many other Sportfish, a Vallarta fisherman seldom goes home empty-handed. The azure waters of Puerto Vallarta are also home to Billfish, Jack, Snapper, and Wahoo. A memorable time spent in Puerto Vallarta with your significant other on board your own private Puerto Vallarta boat rental will help you both create wonderful memories together that will last a lifetime.